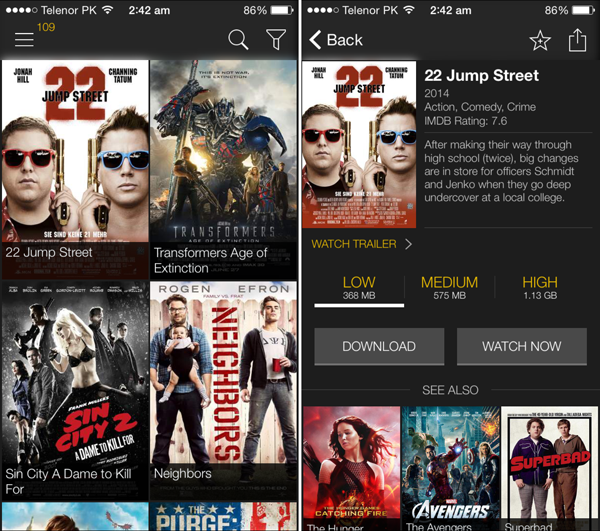 Earlier on the week, Popcorn Time, the so-called “Netflix of Torrents,” finally made its way to iOS, although given Apple’s rules on what can and what cannot pass through the App Store’s moderation process, its developers could only target the jailbreak community. Many iOS 7 users have held back on updating to iOS 8 in a move to preserve their jailbreaks, and so could take advantage of Popcorn Time’s introduction, but for the majority now running on the all-new iOS 8, the said app is out of bounds. There are, however, alternatives out there, and the one we’re featuring here today has the advantage of not requiring a jailbreak, so if you’re running stock software, this one may be for you. Called MovieBox, the app works very similarly to Popcorn Time in that it allows you to search and browse through a large library of content, and once you’ve found what you wish to watch, you simply tap on it, and the streaming begins. 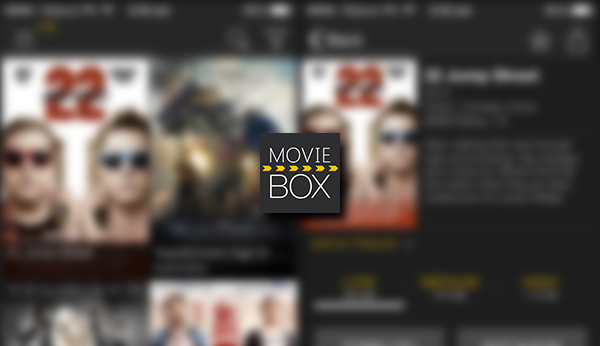 As well as offering a relatively broad selection, MovieBox also lets you set the quality you wish to stream in, which is a very useful feature indeed, because if, for example, you’re at home on Wi-Fi, there’s a fairly good chance that you’ll want to watch your movie at the highest resolution possible. Conversely, if you’re out and about without a hotspot and still want to catch the last 15 minutes of that movie you never got to finish, you might want to opt for a lower-res stream that plays a little nicer with your data allowance. MovieBox currently supports iOS 8.0 all the way through to the very latest iOS 8.0.2, and if you happen to be running the iOS 8.1 beta that Apple released a few days ago, then you won’t be able to stream films via MovieBox at this point. Still, despite the nature of the likes of Popcorn Time and MovieBox, such services seem to be popping up everywhere just now. It is important to note that such services could be sketchy and be used at your own risk only. Big u requires you to have a jailbroken device right? My device isn’t jailbroken any other app that works like MB with out jail breaking it?